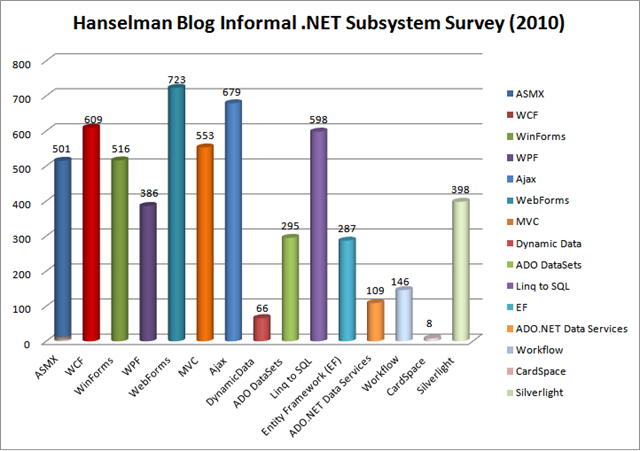 Scott Hanselman recently has published the survey results of : What .NET Framework features do you use? Quite interesting numbers! It interesting to see that such a high percentage of the respondants still use winforms. It’s also interesting to note that the number of Silverlight users is higher than the number of WPF users. The survey also shows that WebForms, Ajax, WCF and Linq2SQL are clearly the technologies of choice as of now. I like to use to use images to help illustrate the theme or point of a blog post. It’s a proven “best practice” in blogging and I highly recommend that every blogger do it. One trick for easily finding and properly using images in your blog posts is to search the creative commons licensed photos on the photo sharing site Flickr. Creative Commons is a non-profit organization that has created a standardized set of tools for granting various levels of permission for people to use creative works freely. The author or in this case photographer of the works designates a type of license and then Flickr allows you to sort through and find only photos that are free to be used for blog posts. I choose to use photos that carry the attribution/share alike license. This means that I may use the image here as long as I attribute the image to the Flickr user’s account where I found it. Here’s Flickr’s description of CC licenses. So, here’s how to find and grab great images. 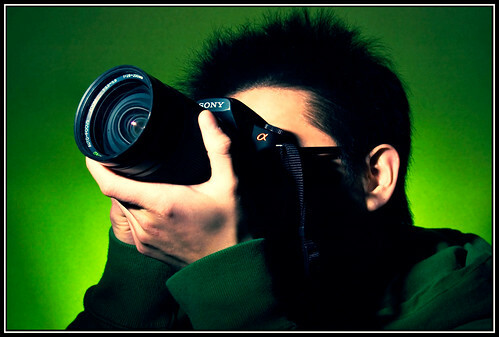 To be a good photo user make sure you add your own images and make the available through the proper CC license – you can make this a default Flickr account setting. This is a very funny video that I found a while ago… Tought I should share it with you all! Here is a quick and easy way to remove multiple whitespaces from a string, leaving only one space character between tokens. “We think speech-to-speech translation should be possible and work reasonably well in a few years’ time,” said Franz Och, Google’s head of translation services. “Clearly, for it to work smoothly, you need a combination of high-accuracy machine translation and high-accuracy voice recognition, and that’s what we’re working on. Although automatic text translators are now reasonably effective, voice recognition has proved more challenging. The translation software is likely to become more accurate the more it is used. And while some translation systems use crude rules based on the grammar of languages, Google is exploiting its vast database of websites and translated documents to improve the accuracy of its system. “The more data we input, the better the quality,” said Och. There is no shortage of help. “There are a lot of language enthusiasts out there,” he said. However, some experts believe the hurdles to live translation remain high. David Crystal, honorary professor of linguistics at Bangor University, said: “The problem with speech recognition is the variability in accents. No system at the moment can handle that properly. “Maybe Google will be able to get there faster than everyone else, but I think it’s unlikely we’ll have a speech device in the next few years that could handle high-speed Glaswegian slang. In the Hitchhiker’s Guide to the Galaxy, the small, yellow Babel Fish was capable of translating any language when placed in the ear. It sparked a bloody war because everyone became able to understand what other people were saying. In January, Google went public with news that some of its systems had been hacked, along with those of a number of US-based companies. The attacks had targeted both accounts maintained by political activists and commercial code, and Google pointed the finger straight at China, vowing to change its entire approach to business in that country. But a report now suggests that the company is also looking to beef up its internal defenses to prevent a repeat of the attacks. The Washington Post is reporting that Google has started negotiations with the US National Security Agency about a collaborative effort to analyze the attack and figure out how best to prevent a recurrence. The Post is citing confidential sources, as the deal isn't final and, even if it were, it's unlikely that Google would seek to publicize it. For starters, both organizations have already been the target of many complaints by privacy advocates, the NSA for its domestic surveillance efforts, Google for its data retention policies. The combination of the two would clearly make the advocates far more uneasy, and might help them make their case with the wider public. Meanwhile, as the report notes, private companies have often been loath to share information about their proprietary systems with the government for a variety of reasons. That may explain why the negotiations have been going slowly, as the NSA would clearly need access to and understanding of Google's infrastructure in order to fully evaluate the attacks and future risks. And that's precisely the sort of proprietary information that Google is presumably reluctant to provide anyone with—even a highly secretive organization like the NSA. The sys.objects system table offers you some information on the last modifications made on any database object. As a quick example, the following script queries for the list of user tables modified since the start of this year. Now this knowledge can help you manage your SQL Servers more easily. You could, for example, create a script that runs every night and send you within an email the list of objects modified the last day.